near the air outlet to control air outflow direction. Exploiting the Coanda effect, the air flows uniformly across an area, cutting drafts and increasing comfort. 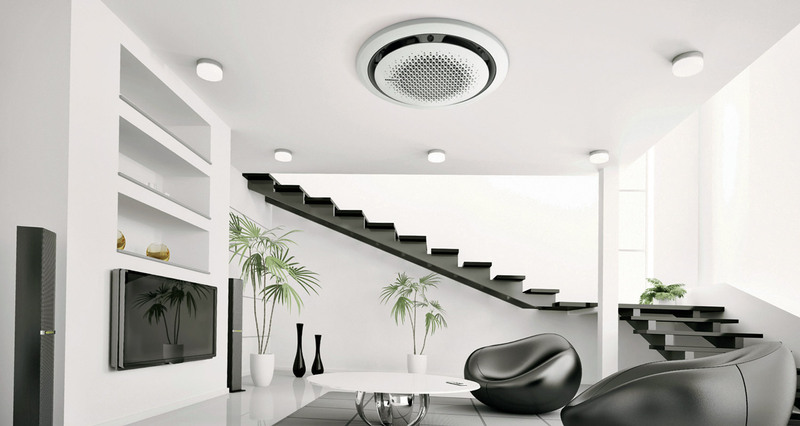 The simple, intuitive remote control has a control button and jog shuttle to easily adjust airflow, while a LED provides a fun graphic depiction of air direction. 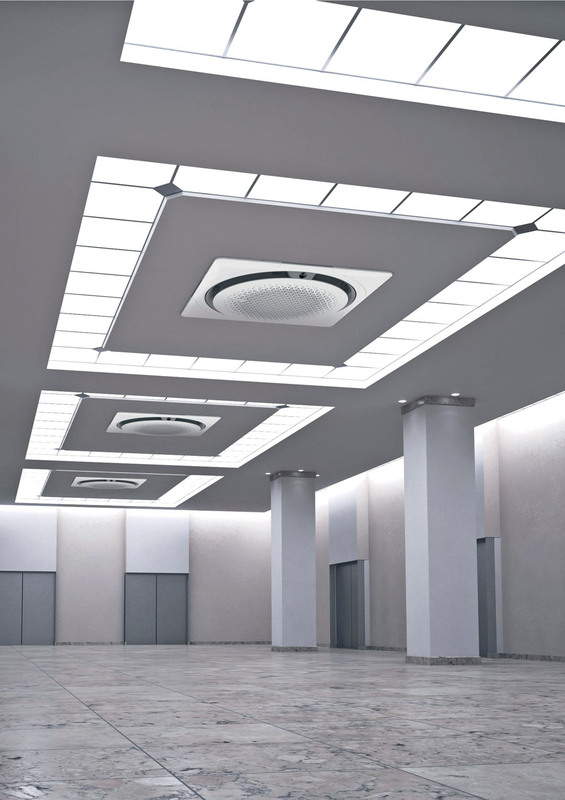 Up to four internal units can be combined to provide uniform temperature control across large spaces. The Virus Doctor device can be installed on 360 Cassette to improve air quality. 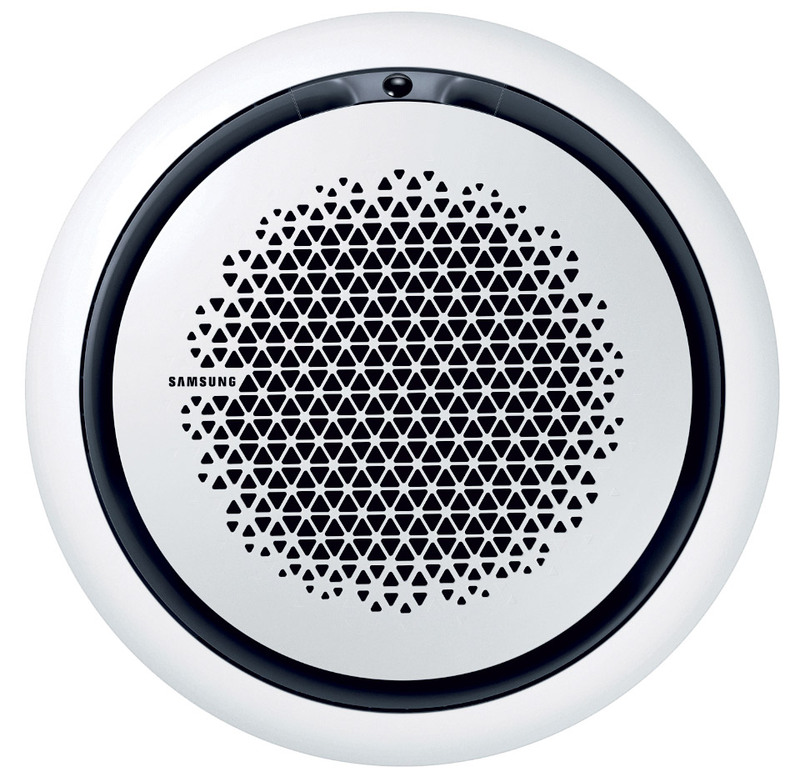 By generating active hydrogen atoms and oxygen ions it purifies the air, reducing airborne bacteria and allergens. 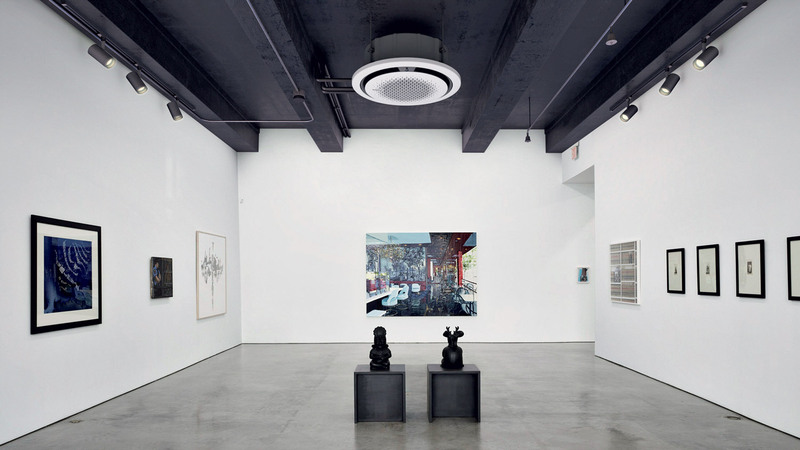 The 360 Cassette unit can be installed flush in the ceiling or suspended, with a square or circular panel. 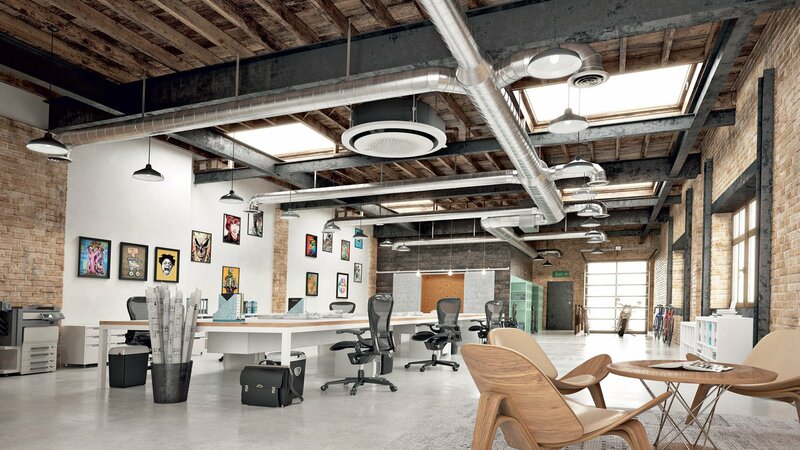 The crisp design makes this unit suitable for any environment, regardless of formality.